- On June 6th in the District of Korea, associated with the Province of México Central, Brothers Lee Rafael and Kim Anselmo made their first profession of vows in the presence of some one hundred family members and friends in Seoul. An Easter celebration of Youth Ministry leaders took place in Armenia, Colombia with the slogan: “Together with Christ we choose life.” This gathering brought together 75 people in charge of apostolic movements in Colombia, men and women dedicated to pastoral accompaniment and leadership. - Brother Norberto Rauch, Rector of PUCRS (Pontifical University of Rio Grande do Sul, Brazil) has been named “Christian Administrator of 2003,” an honor bestowed by the Christian Administrators Association of Porto Alegre. - Centenary of the Marist Brothers ien Murcia, Spain. During the 2003-2004 school year there have been many celebrations to commemorate this anniversary, using the slogan: “Marists in Murcia, 100 years of sowing the future.” Also a book has been published to mark this milestone. - Our brothers in the community of Bobandana, Dem. Rep. of the Congo, have been going through life-threatening times. After abandoning the troubled city for several days they have now been able to return. - A Maristiad is a sports festival involving about 1000 students from all over southern Spain. The Sixth edition of these games was under the banner: Play, enjoy, improve, and have fun together. The event has more to do with creating a place for students, coaches, brothers and families to meet and enjoy their time together than with competition. - In Horqueta, Paraguay, a residence has been opened for 36 schoolgirls of scant resources. The residence includes a micro-project for producing sports clothes and offers training in the use of computers. It is receiving support from the NGO “SED”. - The Brother Acácio Social Center in Londrina (PR, BraZil) has begun its work with 200 13 to 16 year olds with a complementary art education program of 20 hours a week. - The airport chapel in Merida, Yucatan, Mexico, has been named in honor of St. Marcellin Champagnat. - H. Basilio Rueda Guzmán, fms. Síntesis biográfica. Br. José Flores G. Editorial Progreso. Mexico 2004. 96 pages. - En colaboración. Hermano Francisco Rivat (1808-1881). La Alegría de ser hermano. Istituto dei Fratelli Maristi, Roma 2004. 142 pages. (Spanish and Portuguese editions) Cien años de presencia marista en Toledo. Luis Puebla Centeno; Editorial Azacanes. Toledo 2003. 292 pages. - Ir. Sebastião A. Ferrarini. O coração de um camponês. Editorial FTD, Sao Paolo, Brazil; 3rd edition, 2003. The Provincial Council of West Central Europe met in ordinary session at the General House in Rome last weekend, April 23-25. Brothers Jacques Scholte, Provincial, John Hyland, Maurice Taildeman, Winfried Schreieck, and Gerard de Haan also had the opportunity to spend time conversing with Brother Seán Sammón, General Superior. The Province of West Central Europe is comprised of five countries: Belgium, Germany, Great Britain, Holland, and Ireland. 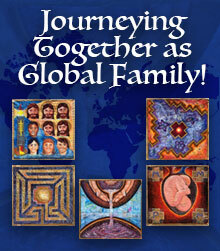 Around 200 brothers are testifying to Marcellin’s spirituality and mission in this mosaic of cultures and languages. Proclaiming the Gospel is both a challenge and project for young people living in societies generally indifferent to our Christian faith. 75% of those who responded to our web question, “Where’s the best place for young people to acquire their values for life?” say it’s the family; 14%, school; a little over 5%, friends; and 4½%, the mass media. -	Family ties are those that most determine a person’s growth and development. So, notwithstanding crises that may arise, we need to be aware of the significance of these ties. Favoring the quality and strength of the family redounds to the benefit of the young. -	A school complements and enhances the family’s efforts if it educates in accordance with their values. Parents are the ones who choose the school for their sons and daughters, whenever possible deciding on one whose program is most to their liking. Working together is a way to achieve excellence. -	It’s somewhat surprising that friends and the mass media ranked so low in our poll, considering that often enough people tend to believe that they wield a great deal of influence in the lives of the young. It may be that we give these categories more credit than they deserve, or that their influence is so subtle that it escapes our notice. -	We can only isolate these four areas - family, school, friends, and mass media – in the realm of theory, since they all interact in our lives in so many ways. We have a new question. Let us know what you think. The life of a Marist brother is one of love and service for young people interested in following Jesus as Mary did. Energized by the charism of St Marcellin, Marists choose to work in the field of education, on a mission giving preference to children and young people in greatest need of care and attention. From Africa to the Pacific Isles, from Asia to Europe to the Americas, children are asking to join this worldwide Marist community. If the Lord is calling you to this way of life, welcome aboard. So pray to the Lord of the harvest, asking him to send workers into his fields (Lk 10,2). About 2000 people from various Marist schools and organizations throughout Portugal assembled in Fatima on May 1st, gathered around the banner: With Mary, we journey in Peace. A few hundred students arrived a day earlier to take part in several activities. It was a powerful and festive gathering, centered on the Eucharist and artistic performances presented by our Marist schools. The presence of Brother Primitivo Mendoza, the new Provincial of our Compostela Marist Province, strengthened the bonds of communion, broadening the horizons of this new Province that takes in the former administrative units of Portugal, Castile, and León. Drawing on the symbolism of the name Compostela, Brother Primitivo invited everyone present to make the characteristics of pilgrims their own: showing universality, a welcoming attitude, an attitude of seeking and of witnessing to the Light. Santa Cruz, Bolivia. 29 people, brothers and laymen and laywomen from eleven Latin American countries met in Santa Cruz, Bolivia May 6-9 to discuss ways to work together more effectively. BIS, the Institute’s Bureau of International Solidarity, together with SED, Spain’s Marist NGO for Solidarity, Education and Development, sponsored the four-day meeting, the first of its kind in Latin America. Included among the Latin American Marist NGOs and provincial organizations that sent representatives to this historic meeting were Fundamar (Guatemala), Casa Familias (Ecuador), AVESOL (Brazil), Fundación Marista (Argentina), PUC-PR-Parana (Brazil), Fundemar (Columbia), IMS (Brazil), Fundación Gesta (Chile), Punto Fiio (Venezuela), and REDE Marista (Brazil), as well as representatives from SED Bolivia and Paraguay, and PNAEE, Misión Guadalupe, and Comisión Solidaridad, all from a Marist province of Mexico. The first two days of the meeting were dedicated to sharing experiences, focusing on the work, major projects, and challenges facing each organization. Following initial presentations by REDE Maristas and the Marist NGOs of Brazil, the group took a break and visited various sites around Santa Cruz, including several Marist schools, the Postulancy center, and Plan 3000, a new community development project in that city. At the conclusion of the day, the group was treated to a light supper and an evening of entertainment, featuring music and dance typical of Bolivia, organized by the students of the Colegio Marista. The last two days of the meeting were marked by honest and thoughtful reflection on the benefits and challenges that lay ahead. Working more closely in addressing the challenges each organization is facing will not be easy. This first meeting showed a definite willingness on everyone’s part to move forward with a great spirit of cooperation for the benefit of all of Latin America. Sunday’s closing Mass was a clear affirmation of our Marist organizations’ resolve to act in solidarity for the peoples of this vibrant and dynamic continent. April 30 to May 2 young people belonging to “Champagnat Groups” from Marist schools around Italy came together at Nocera Umbra. By the end of the first day, having gotten to know one another, the youth immediately entered into a zone they referred to as “magical,” and jumped with abandon into all the activities of those three days. The theme of the Encounter, “God, how beautiful You are!” was a challenging one for all involved, Brothers and young people, because the topic seemed not only a challenging one but also complex. But everything turned out very well, for both veterans and newcomers. The encounter was marked by friendship and the joy of living together, yet there was no shortage of times for fervent prayer, such as the vigil and Mass, personal and group reflection, and the activities planned in different workshops, powerful moments during the entire three days. Each young person had the opportunity to discover and experience features of God’s beauty expressed in the large group through ballet, musical compositions and performances, theater, and painting. By the time the curtain came down, the musical extravaganza had inspired not just the young but the oldsters as well. When it came time to leave, you could see an intense joy on everyone’s face and happiness for having participated in such a rich Encounter. Before concluding, the little girl about whom Seán wrote in his Circular springs to mind. She was told to draw a picture of God. We don’t know about that little girl, but we’re sure that after the Encounter in Nocera Umbra, the young people came away with a very heightened experience of God’s beauty in our world. Liberty, Equality, Fraternity : ideal of French society. Obedience, Poverty, Chastity : ideal of Brother Henri as a religious. Obedience led Brother Henri to complete liberty which made him accessible to all. Poverty, which frees from selfishness, allowed him to bring about more equality. Chastity gave him a brotherly heart for all the youth who came to study in the library he was directing in Algiers. Then, they could discover the true meaning of fraternity. Using these two sets of themes, Br. Alain Delorme delivered a speech for the inauguration of the Place Frère Henri Vergès, in Matemale, on May the 8th. The place is located near the parish church where Henri was baptized. Bishop André Marceau blessed the plaque and the Mayor addressed the crowd telling of his joy in dedicating that place to a son of Matemale. Later, Br. Alain gave a talk about Br. Henri’s life. On May 18, 2004, a commission of Cardinals and Bishops met to determine whether Brother Bernardo died as a martyr. Our Postulator has phoned Monsignor José Luis Gutierrez, the Relator of our cause, and learned of the Commission’s affirmative response to this question. In July the Church will publish a decree officially recognizing that Brother Bernardo was truly a martyr for the faith. This is the final step leading to his beatification. It is premature to speak of a date for that ceremony as the Congregation of the Saints has decided to complete work on all 27 causes for the Spanish martyrs who died between 1934 and 1939. At least ten causes are now under consideration, among them that of Brother Laurentino and his 45 Companions. We will need to be patient while these beatification processes gradually unfold. This week, May 24-28, the General House has been hosting the first meeting of the recently constituted Patrimony Team, consisting of Brothers André Lanfrey, coordinator, from France; Paul Sester, France; Michael Green, Australia; Aureliano Brambila, Mexico; Ivo Strobino, Brazil; and Jaume Parés, Spain. The Team is devoted to researching and examining the historical wellsprings of the Institute, from St. Marcellin’s time until now. Its findings help us put down deeper spiritual roots and provide guidelines for our remaining faithful to the original Marist project. 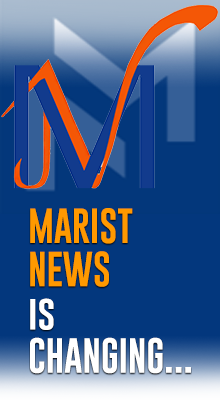 You can view the latest issue of Marist Noteooks in the Publications section of this web page. To give this publication a new thrust and guarantee it continued success, its presentation merits special attention. The Team has been holding meetings with various offices of the General Administration: the General Secretariat, Communications, Archives… Brother Louis Richard, from France, has updated team members about his work of computerizing a great many important Marist reference texts. In its latest session, the Team met with the General Council to present its conclusions and the work it plans to pursue. This year, instead of restricting themselves to the local youths, the young brothers invited twenty youths from MUKONCHI, the nearby parish. This was an opportune time for the youth to celebrate the Easter Season with a difference. Hoping that the youth may share what they learnt with the ones who were not able to attend the camp. I am calling upon these youths to Make a Difference in a positive way. May the spirit of togetherness that exists among the brothers continue to shine! Monday to Saturday, May 24-29, Brothers Antonio Martínez, General Econome, Dario Bortolini, Alberto Oribe, Jöel Capon Thiébaut, and Carlos A. Huidobro, members of the ICEA, held meetings at the Brazil Centro-Sul Provincial House in Curitiba, Brazil. There were four sessions a day to cover the range of topics on the group’s agenda. A consultative body for the General Council and General Econome, the group analyzes and makes recommendations on issues concerning the Institute’s economy and finances. Topics covered included “The Financial report for 2003” by the General Econome’s Office, the stock portfolio, reflections on the Institute’s financial planning, the per capita rate, and the solidarity fund. There was a concluding meeting with the Provincial Bursars of Brazil and the presidents of the mantenedoras (civil associations) responsible to the country’s government ministries for schools and colegios. The Marist Philippine Province is happy to announce that on May 20, 2004, the 215th anniversary of our Founder’s birth, six young Brothers dared to say their YES to God through the profession of the religious vows. Brothers Elmer Jandic, 28, and Niño Pizarro, 26 pronounced their perpetual profession while the other four, Brothers Ramil Andoloy, 21, Jeff Rhey Antiquisa, 20, Albert Muñoz, 21, and Niño Mark John Suarez, 20, had their first profession of vows during the same Eucharistic celebration. The momentous event took place in the school gym at Notre Dame of Cotabato, the first school that the Brothers owned and managed in the country. Meanwhile, on May 17, 2004 four young men had their habit-taking ceremony at the Marist Brothers Novitiate in Tamontaka, just outside the same city. The following day, May 18, sixteen young men were officially admitted to the pre-novitiate program in Lagao, General Santos City. At daybreak on June 6, 1840, as the brothers were singing the Salve Regina, Marcellin Champagnat delivered his soul to God. Since that time, his memory lives on among us, especially in the Congregation of the Marist Brothers – his vision and work for serving children and youth, especially the poorest. Marcellin Champagnat, living in another tumultuous time in history, cherished the innate goodness of children and youth, and he fought strenuously to give them a solid education and an experience of God’s love through the love of men and women who crossed their paths in life. His message is as powerful today as it ever was. In celebrating his feast day we need to commit ourselves to work as one in carrying out his visionary plans to better the lives of children and young people. 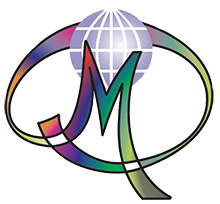 Today as yesterday, we need brothers and laymen and women dedicated to making Marcellin’s dream for our world come true. Presently holding plenary meetings at our headquarters in Rome, Brother Sean, General Superior, and his Council send their warmest greetings and best wishes to everyone drawing inspiration from the spirituality of Saint Marcellin and taking part in his mission throughout the world. 525 boys from St. Augustine’s college walked 20 kilometres through the city of Cairns, a tropical paradise in northeastern Australia that basks in the magical hues of the Coral Sea. The “Walkathon” was held to raise funds for school projects. Family members, friends and businesses pledged money to each participant for each kilometer walked… up to a maximum of 20 kilometres. Six stations along the route helped insure the smooth flow of traffic. The event raised 12,000 Australian Dollars, which will be used entirely for school improvements. State financing accounts for 70% of the school’s budget, with the remaining 30% being funded by the parents. However the students want to do even more to benefit their education. The brothers and lay teachers gave solid support to their initiative, making the required arrangements for the “Walkathon”, which took place on May 20th, the anniversary of St. Marcellin’s birth. During Lent, the students devoted four weeks to various fund raising activities for social programs outside Australia. The education centre also has 180 boarding students, in this case, co-ed. The girls attend classes at Saint Monica College. The question “What is the most praiseworthy quality that you look for in a teacher?” prompted 214 replies between April 30th and May 19th. Given the four choices we provided – fairness, patience, accessibility, and professional competence – 50% of those who replied chose accessibility, 22.6% patience, 15% professional competence, and 12.6% fairness. Education is about relationships among people, not just imparting knowledge. So it’s vital that the teacher be present and available. Our society is prone to spend long hours engrossed with electronic gadgets and the like, but deep down our needs center on the heart – that is where our victories are won. And that is where personal motivation comes in and the determination to find teachers who know how to motivate students to succeed. At the same time, you expect a teacher to know how to respect the pace of learning and maturing of students in his care. Thus, patience took second place. “Coaching,” much in vogue today, actually pursues the same end: to use the best training methods to help each student achieve his or her aims in life.